An EFI system depends heavily on being supplied a clean and constant voltage source. The grounds of an electrical system are just as important as the power side. 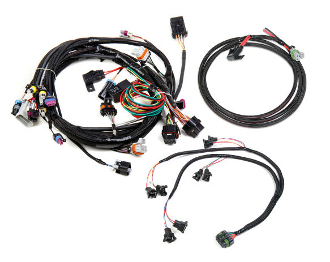 Our Holley EFI Harness Kit for your GM LS engine comes complete with the main harness, power harness and injector harness to support your primary system!